To quickly introduce us to the fresh flagship, the HTC 10 or M10 is a 5.2 inch display smartphone released May 2016 running Android Marshmallow out of the Box. M10 is a very impressive mobile compared to its predecessors (the likes of Htc M8 and M9). With 4GB RAM, 32/64gb ROM variants (expandable via Memory card), a cool 12MP rear cam and 5mp front camera. HTC lives on a 3000mah battery, and the device got rounded up with an awesome finishing, a really smooth body design. 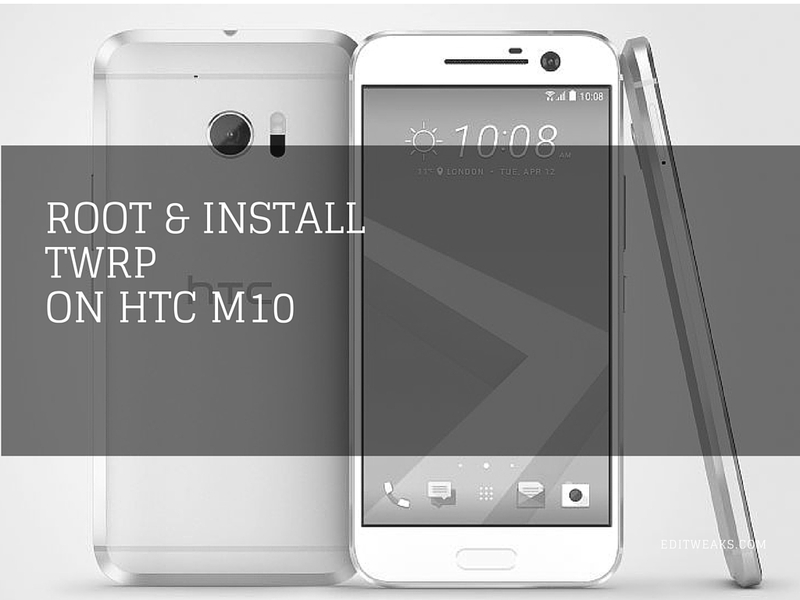 Just few weeks to HTC 10's official launch, TWRP already released custom recovery which will be easily accessible for the new owners of the HTC 10 and according to what we heard, the better part of the good news is, in as much as HTC allowed user modifications like rooting and TWRP, they still provide Warranty for it! which is really awesome, I mean, which phone company does that?! 1. To Install the TWRP on your HTC 10, We have to unlock Bootloader and install Fastboot. Get Platform tools for Android SDK for your PC (Use SDK only) , install SDK and download the Platform-tools to get ADB and fastboot. 2. Now pick up your HTC 10 device, plug it to your PC, on the phone go to Settings >> About >> find the Build Number and tap it 7 times to enable developer settings. Press back and go into Developer Options and enable USB debugging. Now you can Reboot to TWRP using the right key combo to enter recovery for HTC 10 - this is usually to press Volume Up + Power button. 6. Download SuperSU for HTC 10, and move the file to a folder in your phone memory, and flash it using TWRP. To flash with TWRP - Boot to TWRP >> Browse to the location of the TWRP (SuperSU.zip) image on your device and select it. 7. Select recovery from the partition list and swipe to flash. Alternatively, you can downloaded and Install SuperSU from Google PlayStore and use Root checker to confirm Root Access had been successfully granted on you HTC 10.